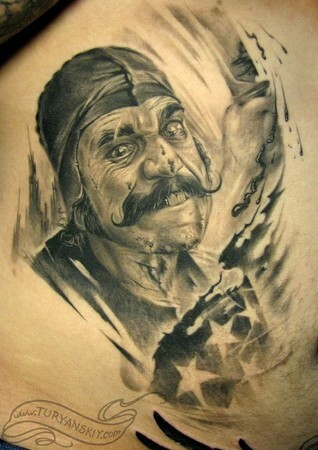 Comments: black and gray realistic portrait movie character Bill the Butcher tattoo. About 10 hours. 2007.